Hi and hello! Lauren here reporting back from the dead. Most of you know that I don’t often write articles here on TFD — it’s been a #minute. With the exception of the occasional Design Your Life post, most of my (design-centric) work goes on behind the scenes. But I wanted to come out of my ~editorial hibernation~ to talk about something I feel passionately about. 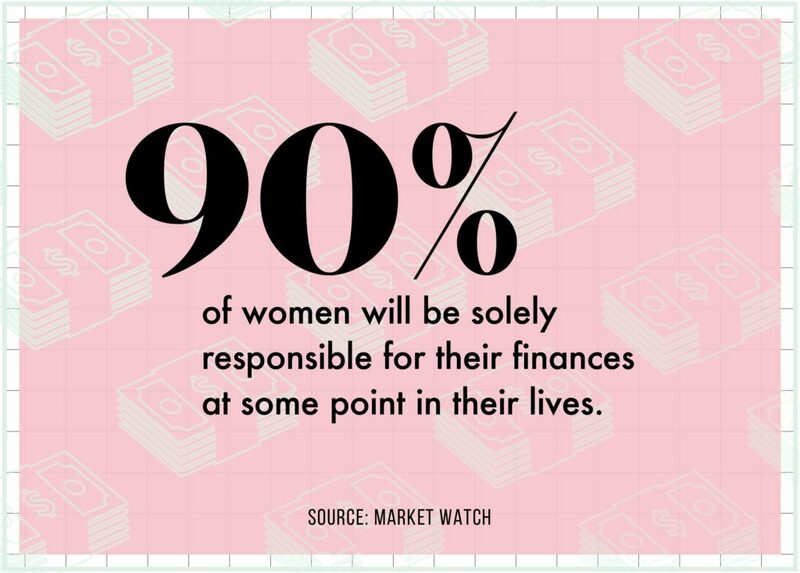 That is, how we as women can further empower ourselves to take control over our finances when, in reality, some of the deck is stacked against us. “Knowledge is power” is an overused sentiment, but it is a powerful one. Upon graduating college and entering the workforce, I felt generally uneasy, and I had a vague suspicion that women were financially disadvantaged in the workplace and beyond. And, while doing research in preparation to write this article, I found facts and stats that shocked me — even as someone who co-founded a personal finance media entity. I’ve heard countless talks, reads tons of articles, and listened to hours of podcasts and interviews that discuss what I talk about below, and yet every now and again I discover something about, say, maternity leave or the jarring wealth gap, and feel taken aback. But even though it might feel unpleasant to read through these things, the end result is feeling more informed and prepared — and that’s always a positive thing. And not only is it important to talk about the ways in which we can individually do better, it’s also really important that we collectively support and cheer one another on in our efforts and goals along the way. There are strengths in numbers! That being said, here at TFD we are big fans of Wealthsimple because not only are they a great way to invest, but they are committed to supporting young women in their investment journeys and building awareness around inequity. Wealthsimple is an online investing platform that allows you get started investing today, with as little as $1 (hooray for no minimums!). They also have a support team to help answer any questions you might have, so you’re never alone. And, they’re offering TFD readers a special $50 cash bonus for getting started. Check it out here! 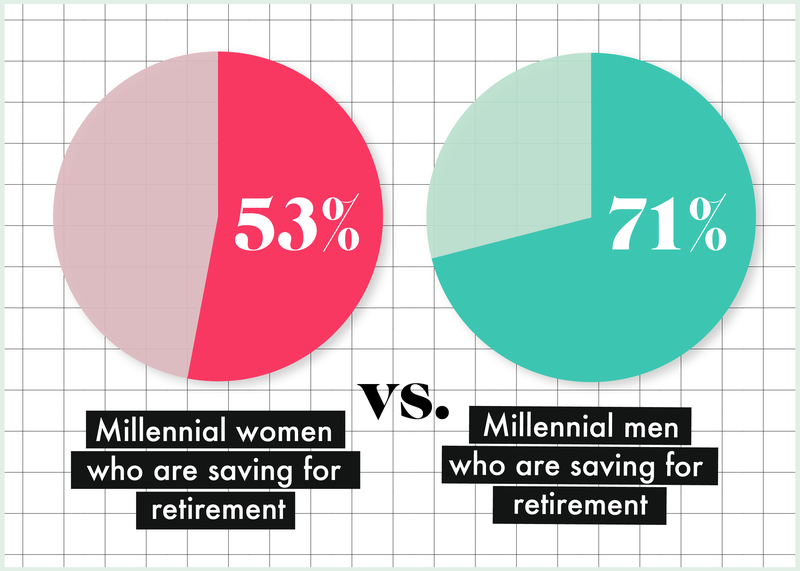 So, that all to say I wanted to share some money stats with you that you can use to better equip yourself to make a difference on your financial life — the first among them having to do with the Gender Wealth Gap. And what is it exactly? The GWG is the discrepancy in net worth between men and women, and it’s actually a bigger and more shocking problem than the pay gap. In short, woman are way worse off than men. Shocking, I know. 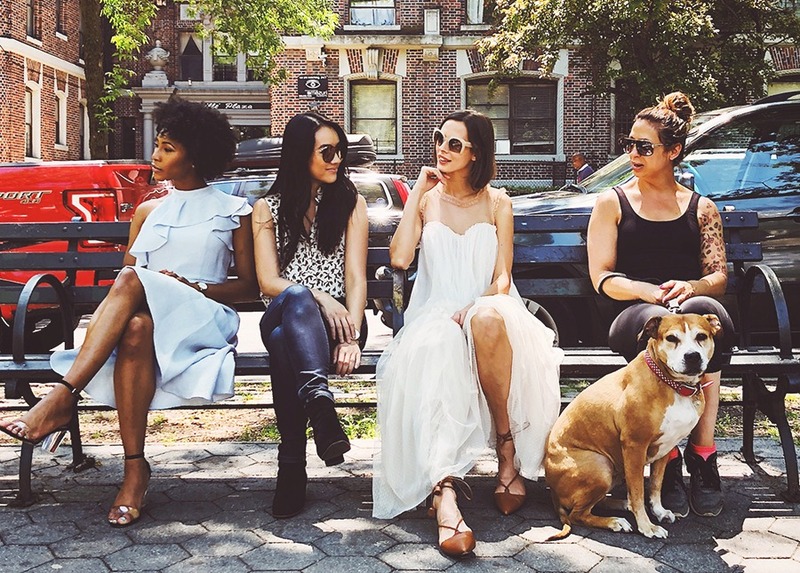 On average, single women own a mere 32 cents for every dollar that single men own. That gap is even greater when broken down by race, with single African-American and Latina women owning less than one cent for every dollar owned by single white men. According to the NWLC, “Two thirds of the paid labor force is comprised of women, and the percent of women working is higher now than it was before the 2009 recession ended. But, 60 percent of those gains are in the ten largest low-wage jobs in America.” Men are more frequently employed in the highest-paying positions (only 6.4% of CEOs are female), and this means that, over the course of their lives, their strides in net worth vastly outpaces women’s. 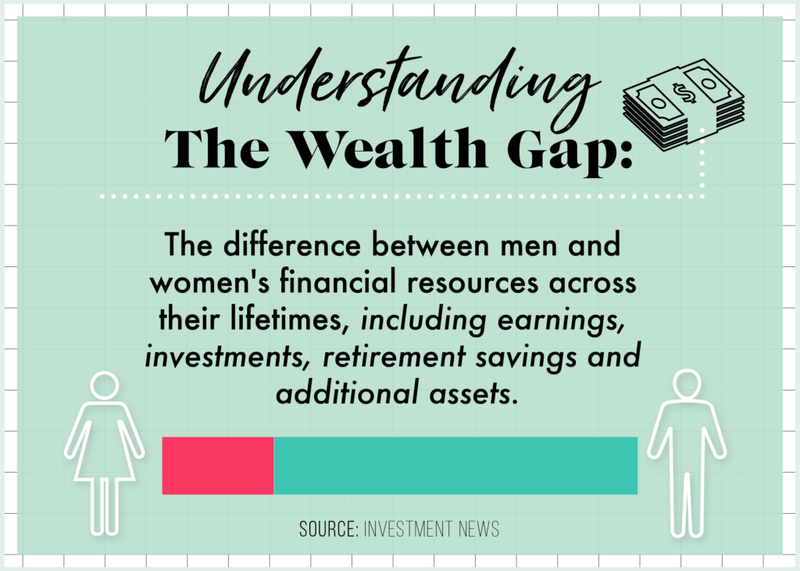 So the gender pay gap — coupled with the fact that women are investing less and investing later — means that over time, women have less money to invest and lose out on decades of compound interest that their male counterparts simply do not. It also means that woman are 80% more likely than men to live in poverty after retirement. NOT FUN. This is all to say that here’s is an easy strategy to combat this and to close the Wealth Gap, and that is to invest early. An awesome service like Wealthsimple makes it easier to do so. Another fun topic that always grinds my gears is the shocking state of parental leave here in the U.S. You know who it affects most? You guessed it — women. As someone who wants to have children in the not-so-distant-future, I can tell you these stats are jarring to read. Only 12 percent of women in the private sector here in the U.S. have access to any sort of paid maternity leave. Per an article from Third Way, “Every child born to or adopted by a woman decreases her income by 4%, such that the average mother makes between 5 and 10% less than she would have otherwise. A man’s income, in contrast, goes up by 6%.” This is shocking but true. Like I mentioned earlier, my general sense of anxiety about how moms are treated in the workplace, and therefore punished financially over the long term, is well founded. Now, with all this information swirling around the internet that snaps one (read, me) back to reality, it’s easy to imagine women wanting to talk openly about these issues all the time. Right? Like I said above, these points aren’t fun to read about, and they can make one feel disheartened — but we don’t have to become a part of another bleak statistic. There are things you can do right now to help yourself do better financially. The goal isn’t for all of us to become millionaires, but living comfortably and setting yourself up for a secure retirement is something we should all actively seek out. When we work with real facts, we can create real plans for our future. And we don’t have to go at it alone Wealthsimple is on a mission to provide services and tools to allow humans (including women) to be financially independent and free. Cheers to that!